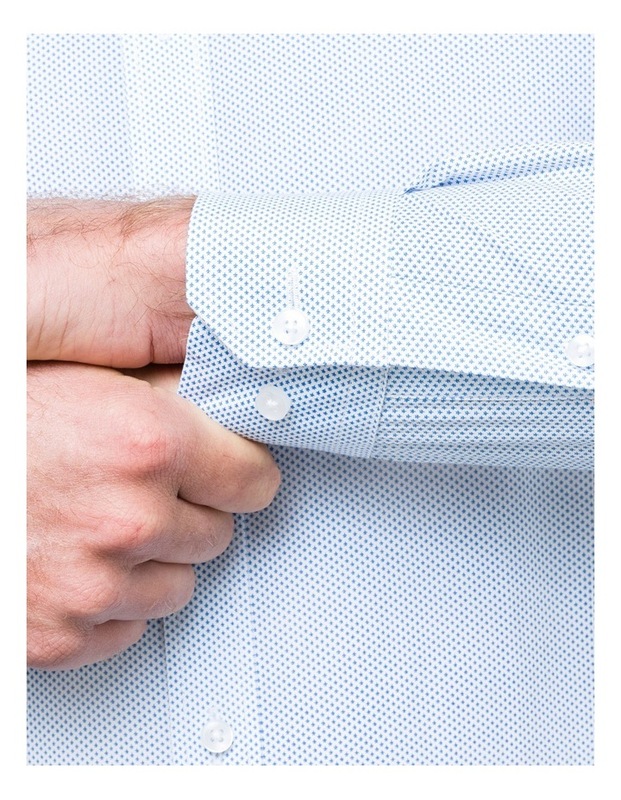 The world leader of men's shirting, Van Heusen's high quality and stylish shirts are carefully selected to provide you with on trend seasonal patterns, colours and timeless basics in a variety of fits to best suit your shape. 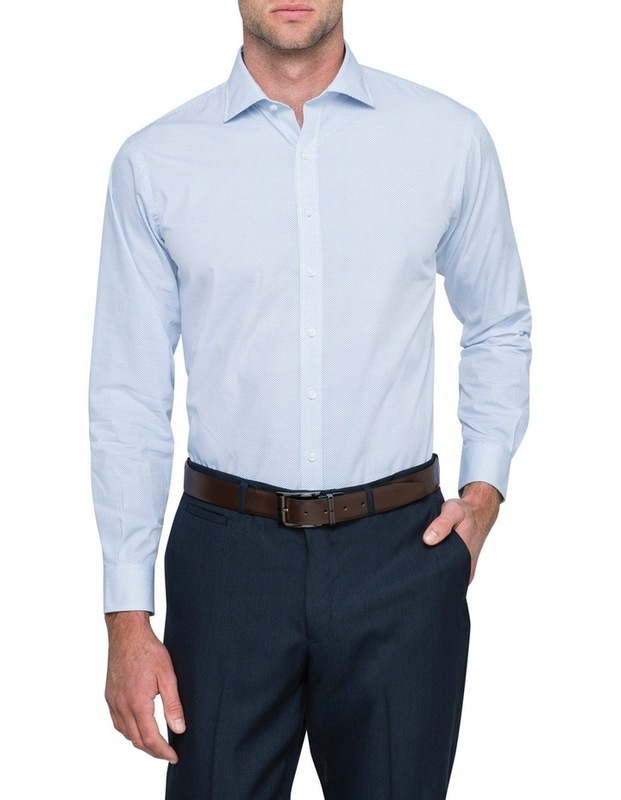 This Van Heusen Blue Print Business Shirt is a wardrobe staple for both work and play. 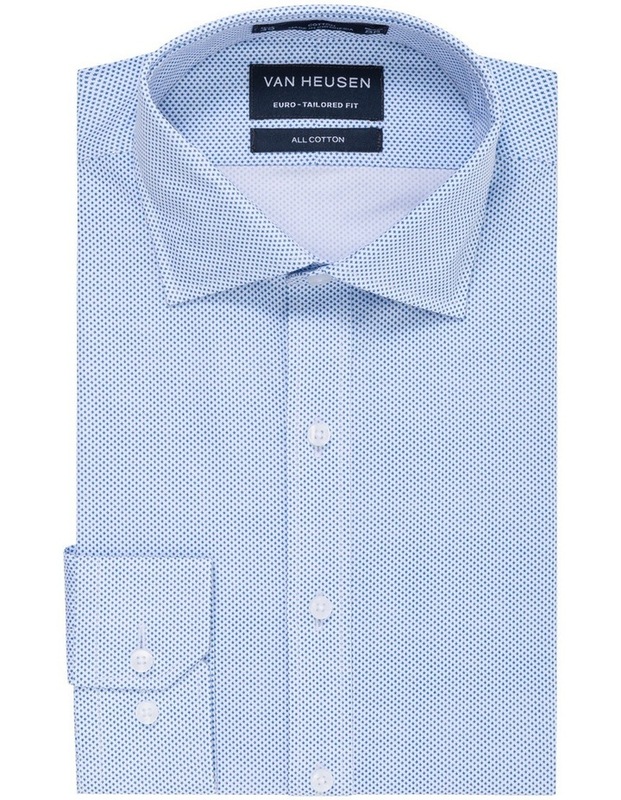 Tailored for a European Fit, the garment features a deep spread collar, mitred duo cuffs and print pattern. 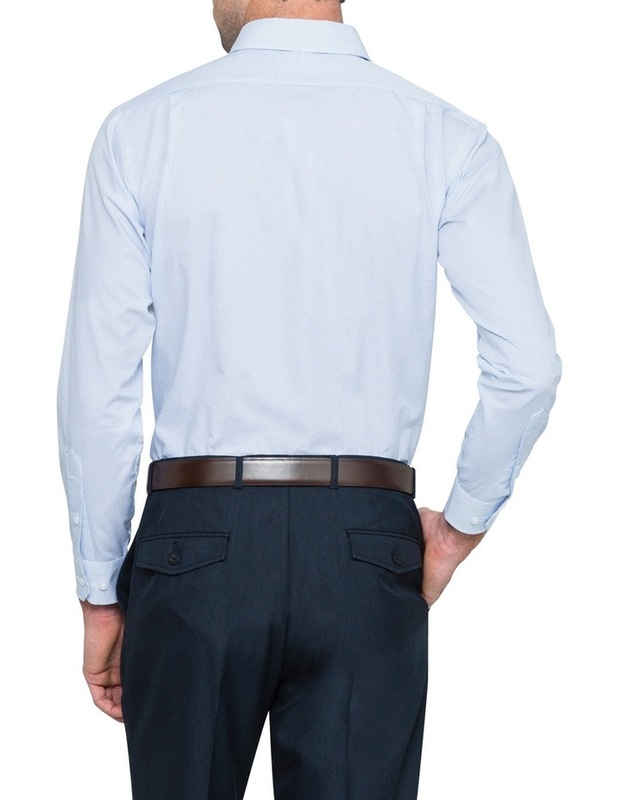 Pair with a suit and tie for a formal look or with chinos for a business casual aesthetic.